John Kruse Larsen is CEO of the Danish asphalt company Pankas A/S. In 1977 he got his Master of Science B from the Technical University of Denmark (DTU). 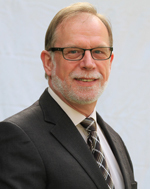 Since 1979 John Kruse Larsen has been employed in Pankas A/S. From 1986 he was Vice President and in 1991 he became the General Manager of Pankas. Pankas is a Danish-owned company and started in 1990 with the expansion with subsidiaries in Germany, Poland, Hungary, Czech Republic, Slovakia, Romania and Ukraine. 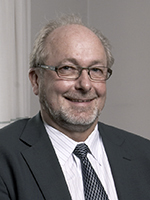 John Kruse Larsen has been a member the Board of the Danish Asphalt Pavement Association “Asfaltindustrien” since 1992 and is now Vice Chairman. Mr. Larsen has been member of the EAPA Executive Committee since 2014 and became EAPA President in 2016. François Chaignon worked as Civil Engineer at Ecole Nationale des Ponts et Chaussées. 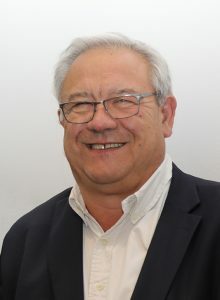 He retired in September 2018 from COLAS after working for them over 40 years. For the last 7 years he has worked as Technical Director for COLAS France.For twenty years he has worked with international technical affairs. Twelve years in North America and 8 years as technical director for COLAS North America focusing on pavement design, innovations, and products development (bitumen emulsion, asphalt mixtures, road construction in general). He is a member of TC 227 WG1, TC 227 WG1 TG3, TC 336 and member of the board of Routes de France. François Chaignon was convener of TC 227 WG2 TG2 (surface dressing). He is also in charge of the international committee Routes de France. Mr. Chaignon became member of the EAPA Executive Committee and EAPA Vice-president in 2018. Carsten Karcher graduated from the Karlsruhe Institute of Technology (KIT) in Germany the former University of Karlsruhe as a civil engineer. In 2004 he got his Doctors Degree at the same university. From 1999 on he was research assistant, head of the Testing Center according to German guidelines and at the end head of the department “Highway Construction Technology” at KIT. He has a strong bonding to asphalt material and a founded understanding of its technical, environmental and social issues. As head of the department he acquired and conducted research projects mainly in the field of asphalt pavements. Dr. Karcher is familiar with European projects as well as with print media and TV. Breixo Gómez-Meijide graduated in Civil Engineering at the University of A Coruña (Spain). After carrying out pre-doctoral stays in different countries, such as Singapore, Italy and UK, he obtained a PhD in 2015 at the University of A Coruña and received the Doctorate Extraordinary Award for his thesis on sustainable asphalt materials. Then, he moved to the UK, where he worked as a Research Fellow at the Nottingham Transportation Engineering Centre (University of Nottingham). There, he was involved in national and European projects (e.g. HEALROAD on self-healing pavements) and supervised four PhD Students on different topics related to sustainable and resilient roads. Egbert Beuving graduated from the Technical University of Delft as a civil engineer. Throughout his working carrier, he has been involved with the paving sector. He started at Netherlands Pavement Consultants as a Technical Manager, he later joined CROW, the Dutch Information and Technology Centre for Transport and Infrastructure, as a project manager. Here he was, among others, in charge of co-ordinating national research activities in the area of road construction, recycling and asphalt pavements.